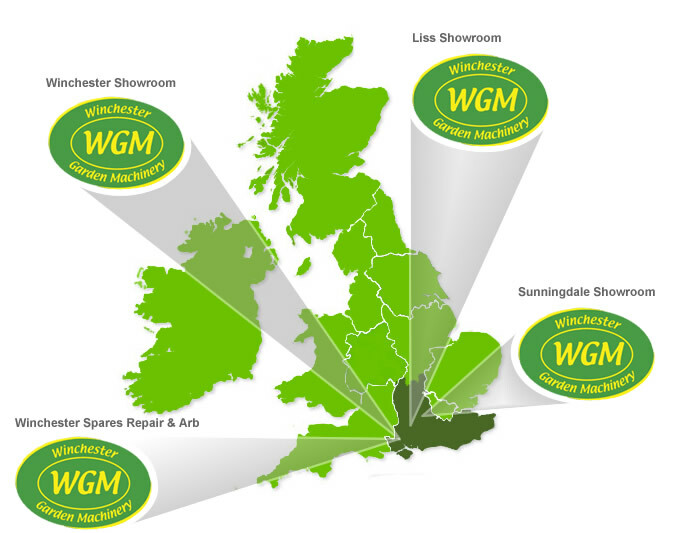 MowWithUs is the online store for Winchester Garden Machinery; a family-run business with over 48 years experience in selling and servicing garden and groundscare equipment. We are one of the largest retailers of garden machinery, professional groundscare and arboriculture equipment in the UK. We supply a wide range of customers from residential to organisations including golf courses, local councils, sport centres, schools, contractors, farmers, tree surgeons and many others. With 4 showrooms across the south of England and a large warehouse and service centre based in Winchester, we have a fully trained team of over 50 staff with vast experience and can demonstrate and supply machinery and provide after sales parts and service on a huge range of the best quality equipment from the world’s leading manufacturers, such as John Deere, Honda, Stihl, Husqvarna, Hayter, Toro and Countax. This commitment to quality and service is central to our business and extends to this, our online store. Our friendly and professional staff are available by telephone or email to give expert advice on the best machines to suit your requirements and ensure that you receive the best quality at the right price, typically with next day delivery. In May 2018 we sadly lost one our co-founders, Robin Nettle, following a short yet brave battle with Cancer. His loss will be felt through the company and the industry as a whole. The internet is an accepted and convenient method of shopping which more often than not can save you money. It is still important however, to have confidence in the company that you are buying from. We are authorised dealers for all of the equipment that we sell and can give informed and accurate advice to our online customers ensuring that you make the right choices, first time and at the right price! We always offer great discounts and will always try to match or beat our competitors prices wherever possible - HOWEVER please contact us if you think we are not being competitive enough! Please don't hesitate to call us for advice on your purchase. All of our retail showrooms are based at Hillier Garden Centre sites. Our two businesses complement each other well; we sell powered and pedestrian garden machinery whilst Hillier Garden Centres sell just about everything else you could ever want in the garden, from plants to garden furniture!